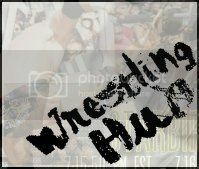 So on October 7th REACH Wrestling will be back for their second show at the School of Creative Arts (only roughly 50 tickets left so go get them) so lets have a look at what they have in store for those who are going…. And I might be if my bloody passport doesn’t sort itself out. I don’t care if people don’t like these but I am loving doing them for wrestling so here are a 5 Things for the CPW show in Bodmin featuring Jimmy Havoc, CCK and Mark Haskins.